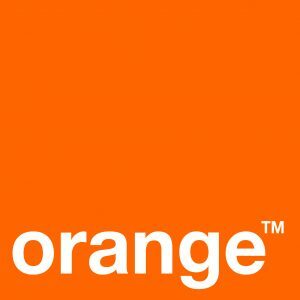 Orange4Home is a dataset of routines of daily living captured in Amiqual4Home’s smart home environment, from January 30th, 2017 to February 24th, 2017. 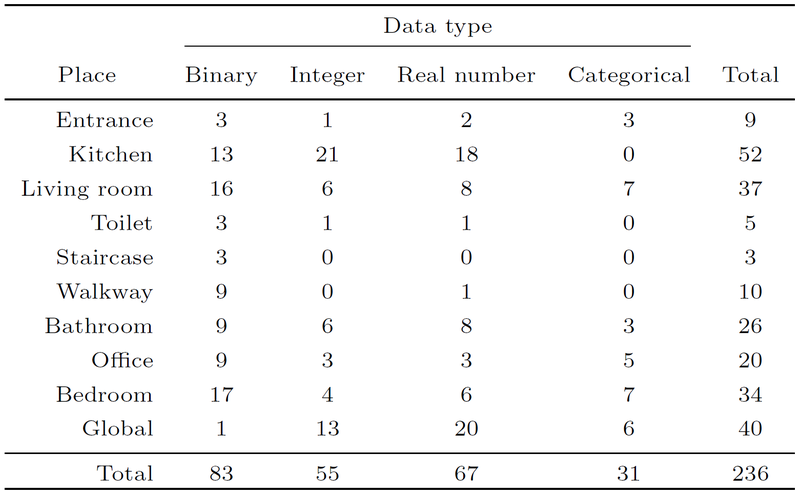 This dataset is the result of a joint work between Orange Labs and Inria. The experiment was conducted by Julien Cumin, Grégoire Lefebvre, Fano Ramparany and James L. Crowley, with technical and organisational help from Nicolas Bonnefond and Stan Borkowski. The Orange4Home dataset comprises roughly 180 hours of recording of activities of daily living of a single occupant, spanning 4 consecutive weeks of work days. This dataset contains the recordings of 236 heterogeneous sensors scattered seamlessly throughout an apartment, and 20 classes of activities labeled accurately in situ by the occupant, for a total of 493 instances of activities. 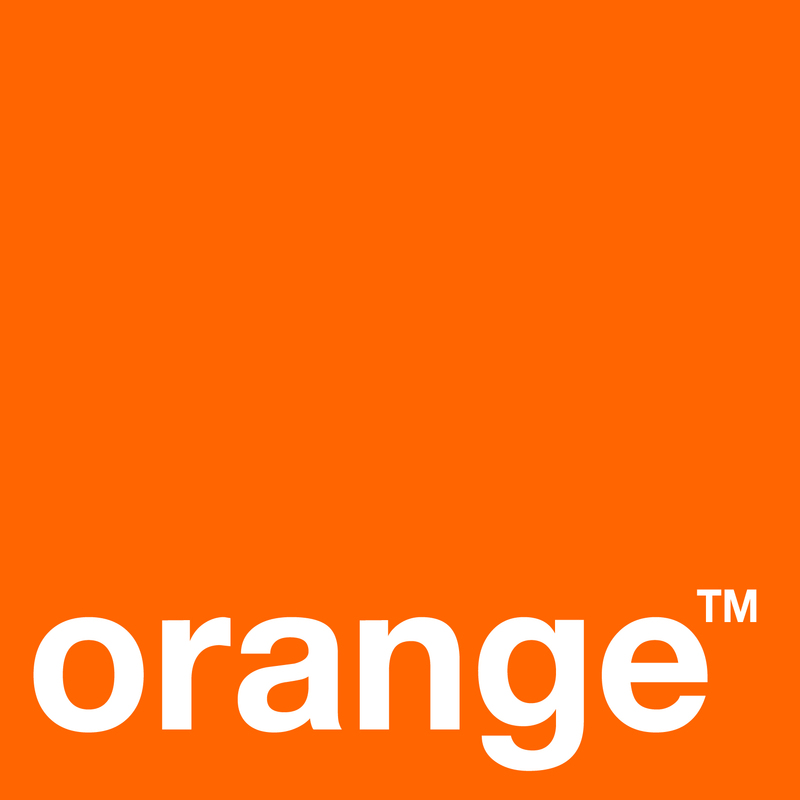 These caracteristics of Orange4Home make it a suitable dataset for activity recognition algorithms evaluation, as well as activity prediction algorithms evaluation, and other related algorithmic and smart home research problems. The complete list of data sources can be found here (sources in the “Possibly” section of a place are sensors that are identified as being part of another place but that are also at least partially in that place). The occupant followed a routine planning for the 4 weeks of the experiment, telling them the sequence of activities to perform (the sequence was strictly followed, the beginning and end times were loosely followed). 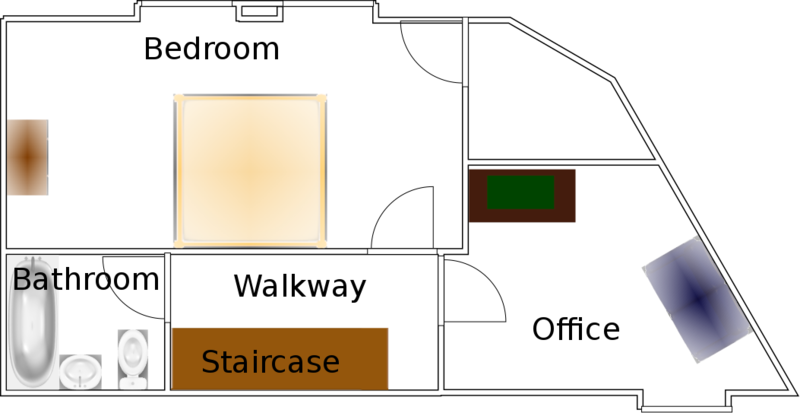 The full planning given to the occupant can be found here. Julien Cumin, Grégoire Lefebvre, Fano Ramparany, and James L. Crowley. “A Dataset of Routine Daily Activities in an Instrumented Home”. In 11th International Conference on Ubiquitous Computing and Ambient Intelligence (UCAmI), 2017. 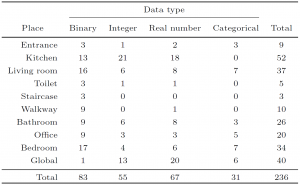 We propose the dataset in the form of a MySQL database dump. Before importing the dataset, you must create a schema named “openhab”. Each table of the database corresponds to a sensor, except for the table “openhab.items”, which contains the correspondence between names of tables and names of sensors. Table “openhab.item400” contains the labels of activities. Download: Contact julien1 dot cumin at orange dot com to obtain a copy of the dataset.